When you have been arrested on suspicion of driving under the influence in Illinois, you will have many questions and decisions that need to be made quickly to protect your rights and limit the impact of the arrest. It is hard to know where to turn for information.At the law offices of John W. Callahan, Ltd., our skilled DUI defense attorneys have years of experience handling DUI cases in Illinois courtrooms. We know the law. We know what you should expect after an arrest. We can help you make the right decisions to protect yourself. To learn more about our DUI defense services, call us at 877-335-6697 or contact us online. 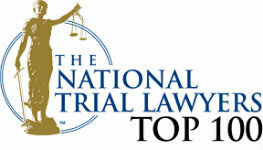 Our skilled lawyers are dedicated to helping people charged with drunk driving. Reading a basic rundown of DUI laws in Illinois is likely to leave you with more questions than you had before. While it is important to understand the charges against you, that does not help you understand how your case is likely to play out. Stages of a DUI — When you are charged with a DUI, there is an administrative as well as a criminal stage to your case. Both can have serious consequences for your life. The Cost of a DUI — A DUI could cost you more than the price of a good attorney, fines and court fees. A DUI conviction impacts multiple parts of a person's life potentially for years into the future. What To Do Police Look For In DUI Traffic Stops — Are you wondering why you were stopped? Understanding the reasons a police officer stopped you is a good starting point to building your defense. DUI Laws in Illinois (note duplicate page) — Understand Illinois DUI lawsand how they can impact you. Drunk Driving Statistics — The statistics of DUI in Illinois tell the story of how most people fare when charged with drunk driving in this state. DUI Issues for Women — An increasing number of women are being arrested for DUI. What many women do not realize is that there are many factors stacked against them. Criminal Defense for Students — Students charged with DUI in Illinois need to understand how a DUI could affect them and negatively impact their future. DUI and Drugs — Understand how being arrested for driving under the influence of drugs could affect you in Illinois. Illinois DUI When You Live Out of State — The consequences of a DUI can follow you home. We provide aggressive representation for out-of-state visitors charged with DUI in Illinois. 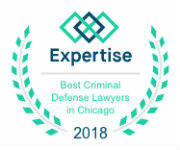 To make the right decisions and successfully navigate the Illinois criminal justice system, you need an experienced defense lawyer on your side. You need someone who can review the police records, ask you the right questions, conduct a thorough investigation and help you understand what it all means. You need someone who has been through this countless times before and who knows what it takes to get a dismissal or a not-guilty verdict. You need an experienced and aggressive advocate who can protect your rights and guide you through a stressful and complex process. Call us at 877-335-6697 or contact us online to speak to an experienced DUI defense lawyer. We offer a free DUI case evaluation. Do not get pressured into accepting a guilty plea without getting all the answers you need to make the best possible decision.